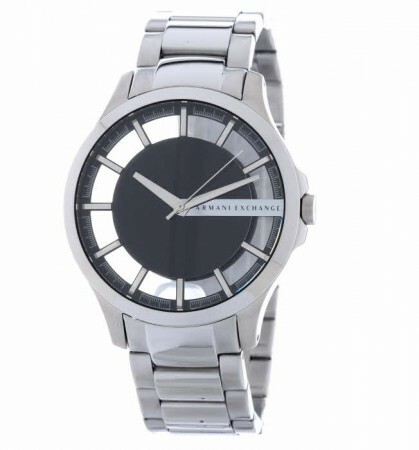 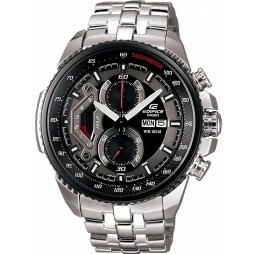 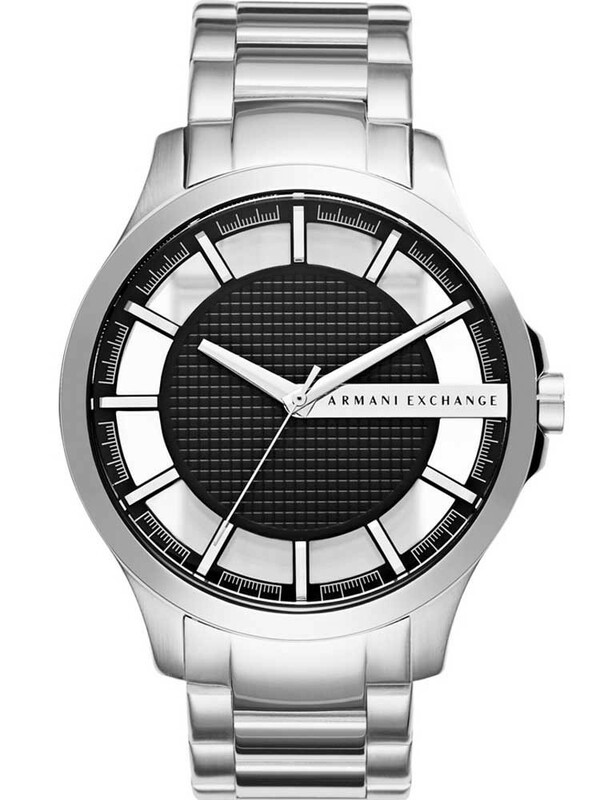 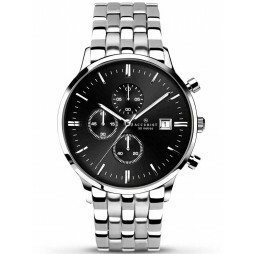 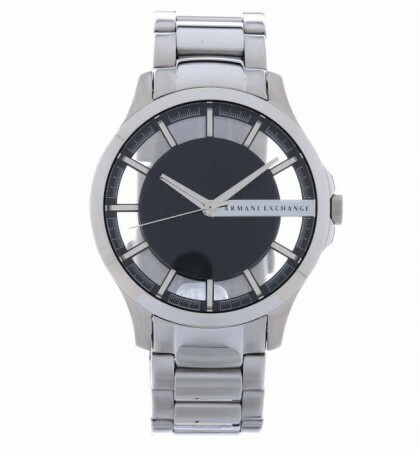 A simple and stylish mens timepiece from Armani Exchange. 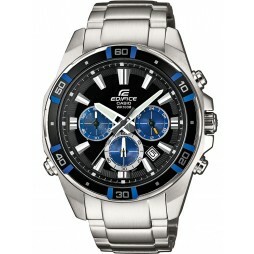 Set in polished stainless steel the chunky case holds a round black textured dial with large hands, baton hour markers, accurate indices and the brand logo at 3 oclock. 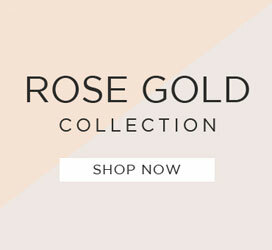 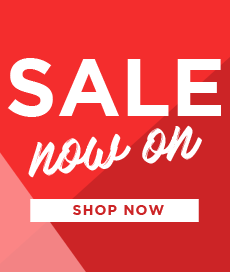 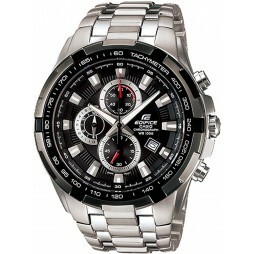 Complete with a masculine bracelet and push button deployment clasp for a secure fit, buy with confidence.